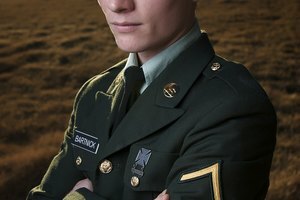 What Are the Consequences of ROTC Disenrollment? 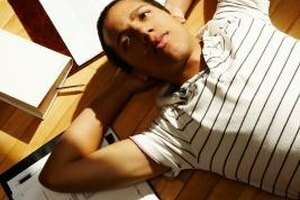 Should Students Be Tracked by Ability? Newly independent students regularly face ethical challenges. The transition to college is a major milestone that, for many students, marks the change from childhood to adulthood. Students can no longer rely on their parents or teachers to make decisions for them, and they may be forced to make their own ethical decisions for the first time. Some ethical challenges have no right or wrong answer, while others are characterized by a tempting "wrong" answer that can make the right choice seem like a bad option. The pressure to excel in school can be overwhelming, particularly if your grades determine scholarship money or ongoing support from your parents. Students who struggle with course material or time management may be tempted to cheat. Some cases of cheating aren't clear-cut. For example, some students may not be aware that paraphrasing a Wikipedia page or copying another student's lab notes is cheating. Moreover, for a stressed student, the consequences of cheating can seem distant and the rewards -- good grades, praise from parents and access to scholarship money -- can make cheating seem like a good option. Many schools operate according to honor codes that encourage students to turn in other students when they violate academic integrity guidelines or break other important rules. The decision to turn in a classmate is a challenging ethical decision. While a cheating classmate can throw off a grade curve or give a professor a misleading impression about how quickly students are comprehending an assignment, students may struggle with the consequences a reported classmate will face. For example, if a students' roommate is in an abusive relationship, and cheats on a test so that she has more time to devise a way out of her relationship, her roommate might opt not to report her. Students who take on independent study projects or gain access to internships can face academic ethical dilemmas. A biology student opposed to animal testing might find herself choosing between testing a chemical on rats or losing her internship. A philosophy student could find herself defending a philosophical idea she finds reprehensible, and some students may even witness ethically questionable behavior from their professors. When such behavior occurs, students can be torn about whether to turn in the professor and give up an internship or remain quiet, thus giving tacit support to the professor's bad behavior. According to the Substance Abuse and Mental Health Services Administration, 6 percent of college students use Adderall without a prescription every year. Particularly at competitive schools with immense workloads, students may struggle to complete their work. When friends turn to performance-enhancing drugs, students are stuck choosing between breaking the law to get good grades and accepting mediocre grades and lots of stress. The New York Times: What Ethical Dilemmas Have You Faced? Thompson, Van. "Difficult Ethical Decisions by Students." 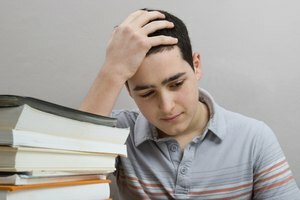 Synonym, https://classroom.synonym.com/difficult-ethical-decisions-students-22982.html. Accessed 23 April 2019.